Jim Young / Getty ImagesUnited CEO Oscar Munoz has taken steps to improve the company’s culture and performance, but it hasn’t been enough. Customer service scandals have become a common occurrence for United Airlines in recent years. Some observers believe the company’s problems start at the top, with CEO Oscar Munoz. While Munoz has made an effort to improve the airline’s operational efficiency and relationship with employees, his initiatives haven’t resulted in great customer service. In the age of smartphones and social media, customer service scandals are inevitable for airlines, but they have become a common occurrence for United Airlines over the past few years. While the infamous April 2017 incident in which aviation officers dragged a customer off an overbooked flight dominated headlines for months, the airline’s troubles extend far beyond a single mistake. In recent years, the airline has injured passengers, sold their seats, and misplaced their pets. And last week, the airline created its biggest scandal since last April when a passenger’s 10-month-old puppy died after the passenger was forced to place it in the overhead bin during a United flight from Houston to New York. United placed ninth in Consumer Reports’ 2018 survey of airline passengers – who were asked to rate their experiences on America’s 11 major commercial airlines – which indicates that its issues are more than anecdotal. 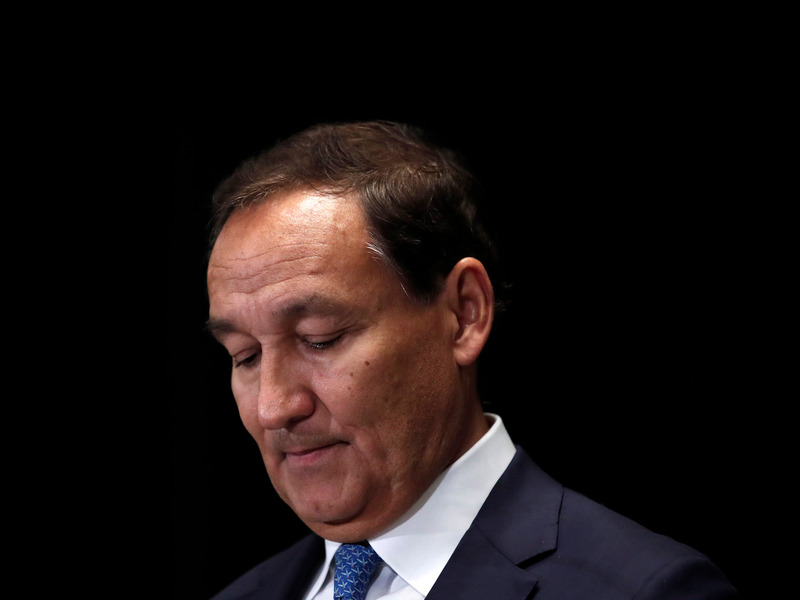 Airline expert George Hobica says the airline’s failures start at the top, with CEO Oscar Munoz. “It’s just a lack of integrity in their leadership,” Hobica told Business Insider. Munoz, who previously ran the freight rail company CSX, became the airline’s CEO in September 2015, after his predecessor, Jeff Smisek, resigned in the midst of a bribery scandal. The airline was a mess when Munoz began his tenure, as years of cost-cutting measures and tense negotiations with labour unions had damaged employee morale. Munoz made it a priority to earn the trust of his employees, embarking on a listening tour to let them vent and resolving some of the company’s years-long conflicts with labour unions in a matter of months. Beginning with his first year, the company’s operational metrics improved as it decreased delays and lost a smaller amount of baggage while increasing its number of flights. In its fourth-quarter earnings report in January, the company said it “achieved a record-setting year for operational reliability, including best on-time departure performance, fewest cancellations, and best baggage handling performance” in 2017. But the company’s operational and financial performance has still lagged behind some of its rivals, and efficiency doesn’t always result in great customer service. While Munoz has taken steps to improve United’s culture, it may not be enough, according to Charles Leocha, president of the airline passenger advocacy group Travellers United. Leocha has talked to United employees over the years, and he’s heard that the historically strained relationship between the airline’s management and low-level employees remains, despite recent improvements. “I’ve heard that it’s far better than it used to be, but there’s still a lot of animosity,” he told Business Insider. The company’s response to its employees showed that it may be more sensitive to their concerns under Munoz, but the fact that it changed its bonus system in the first place, while trying to persuade its employees the changes were good for them, reveals that there’s more work to be done. In March, the airline introduced “core4,” a new training program for employees who interact with customers. The program was designed to improve their efficiency and prevent customer service issues from escalating into scandals. But a recent report from Inc. indicates that additional training may only solve part of the problem. When a company’s employees feel mistreated, they’re more likely to mistreat their customers, according to Hobica. “An underpaid and overworked staff will be unhappy, and they will take it out on customers,” he said. Munoz, then, is in a difficult position. His 93% employee-approval rating on Glassdoor is higher than those of the CEOs for American, Delta, and Southwest Airlines. The Inc. report noted that many employees blame United president Scott Kirby for their troubles, rather than Munoz. But Munoz is the CEO, and whether he deserves a majority of the blame or not, he’ll be held to account for theairline’s combination of financial underperformance and public-relations missteps. Under Munoz, United began a process of introspection that has yielded positive results. But, so far, it hasn’t been enough. United’s challenge is to continue looking inward and eventually find answers, Hamlin Transportation Consulting President George Hamlin told Business Insider. “It needs to be fixed, or it will get worse,” he said.